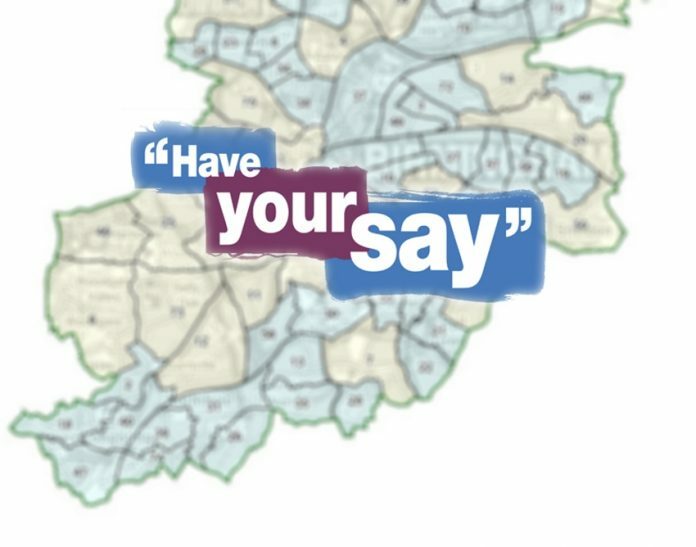 The independent Local Government Boundary Commission for England is asking people across Birmingham to comment on its draft proposals for new council ward boundaries. An eight-week public consultation on the recommendations begins today and will end on 8 February 2016. The consultation is open to anyone who wants to have their say on new council wards, ward boundaries and ward names across Birmingham. The Commission’s draft recommendations propose that Birmingham City Council should have 101 city councillors in the future, nineteen fewer than the current arrangements. The recommendations also outline how those councillors should represent 53 single-member wards and 24 two-member wards across the city. Max Caller CBE, Chair of the Commission, said: “We are publishing proposals for a new pattern of council wards across Birmingham and we are keen to hear what local people think of the recommendations. “Our review aims to deliver electoral equality for local voters. This means that each city councillor represents a similar number of electors so that everyone’s vote in city council elections is worth roughly the same regardless of where you live. “We also want to ensure that our proposals reflect the interests and identities of local communities across Birmingham and that the pattern of wards can help the council deliver effective local government to local people.